Item consists of a photographic slide with annotations including: "L. 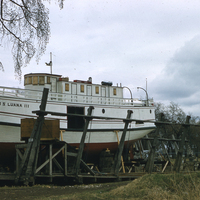 Wpg., boat at Selkirk slip," "3-71," "May/58." 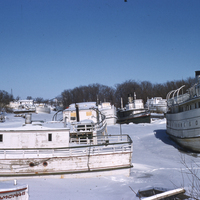 Item consists of a photographic slide with annotations including: "Boats at Selkirk," "meander of the Red," "3-71," "Feb/59."